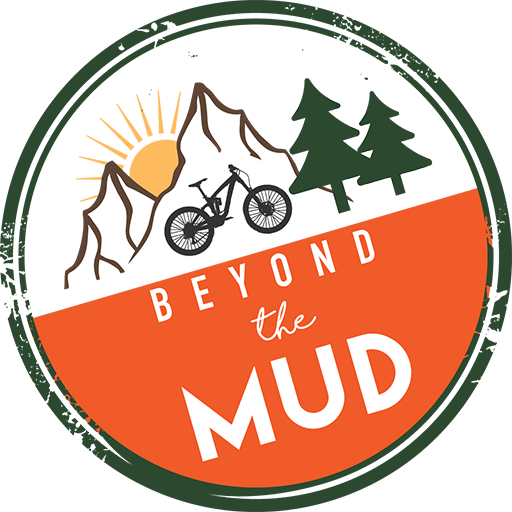 This page details the terms and conditions of sale and operations of services sold by Beyond the Mud (hereinafter also referred to as “the company”, “our”, “we” or “us”), of 94 Redhill Road, PO96DF, Hampshire. The term ‘client’ refers to the individual or organisation making the booking. Please take the time to read and understand these conditions prior to booking with us as they set out our respective rights and obligations. We also strongly recommend that you also read all the details set out in the web page relating to your trip prior to booking to ensure that you understand the itinerary and style of the trip you are undertaking. These terms and conditions, together with any written information we brought to your attention before we confirmed your booking constitute the entire understanding and agreement between us and by completing a booking you are accepting these terms and conditions. That you have made all others listed in the booking aware of these terms – regardless of how final payment is made – and that all clients accept and agree to be bound by these terms. It is a fundamental booking condition that you accept mountain biking can be hazardous and may involve elements of risk or discomfort, and that you take personal responsibility for your own actions. You must confirm that you are fit to participate in your chosen activity and that you have informed us of any medical conditions affecting your participation in the activity. You must notify us of any specific medication and dietary requirements at time of booking. If you have to drop out of a trip, although we will do our best to assist, you will be responsible for any travel arrangements or additional costs incurred. For clients using our services to participate in outdoor activities e.g. cycling and mountain biking – it is the client’s responsibility to ensure the suitability of a route for their fitness, abilities and equipment. Helmets must be within manufacturers lifecycle and worn at all times when on your bike. Please note that dates, itineraries and prices are indicative only and you must contact us for the up to date price of the arrangements you are seeking to book. Although we have made a concerted attempt to verify the accuracy of statements made in our trip or coaching documentation, we cannot be held responsible for any error, omission or unintentional misrepresentation that may occur and we reserve the right to correct prices and other details in such circumstances. You must check the current price and all other details relating to the arrangements that you wish to book before your booking is confirmed. When you complete and return the booking form you agree to accept all these conditions and when we accept your booking we agree to carry out our obligations as defined to you in all materials sent to you from us. This agreement is made subject to, and must be interpreted and enforced by British Law. To secure your multi-day booking a non-refundable deposit of 30% of the total amount is required when the reservation is made, with the balance payable within 60 days of your booking commencement. Payment must be made in pounds sterling. For bookings of Pilates courses, single or half-day coaching and single or half-day guiding full payment is required at the time of booking. For bookings made less than 60 days before booking commencement, full payment is required at the time of booking. The booking is not accepted and no contract exists until the date shown on the confirmation email issued by us. Accommodation ^ Prices quoted are based on shared accommodation, and may be subject to change without notice. A supplement may be charged for single room occupancy, as detailed in the tour information on our website. We reserve the right to return your deposit and decline to issue a confirmation at our absolute discretion. A detailed kit list will be sent to you upon receipt of your deposit/full payment, and meeting instructions and final trip arrangements will be sent to you two weeks prior to your trip start date. The client is responsible for providing correct contact information including email and mobile phone number. Any failure in services resulting from us having incorrect contact information will be deemed to be the fault of the client and no compensation will be available. Booking forms must be sent back to us within seven days of any provisional booking. We comply with the Package Travel and Linked Travel Arrangements Regulations 2018 by paying money received for package holidays into a trust administered by independent trustees, Serenity Travel Trusts. This means that in respect of all arrangements requiring protection, in the event of our insolvency, funds will be available to ensure that you will receive a refund of the money you have paid to us. If the holiday or weekend is not filled then we hold the right to cancel or postpone. Gift vouchers can be brought in multiples of £25 and used towards any product. Vouchers cannot be split between clients and must be used within 6 months of purchase. Promotions are only valid within the stated dates. Only one coupon/voucher code may be used towards each purchase. Bookings will be confirmed electronically by email once deposit payment has been received. If you cancel your booking more than 60 days before the first day of your trip (weekend or seven day break), you will receive a refund of monies paid, minus the non-refundable deposit. If you cancel your booking less than 60 days before the first day of your trip you will receive no refund on monies paid. We strongly advise you to purchase trip cancellation and interruption insurance at the time of booking which will cover cancellation fees. For long delays, cancelled or diverted flights (likewise other forms of transport) clients will be required to rebook; tickets can be used as proof of purchase if clients wish to seek reimbursement through their travel provider or insurer. If you cancel a coaching course (single day) there is no refund unless in extreme circumstances ie broken bones, ligament strain or operations. Refunds will only be given in situations where the client cannot make class due to serious medical issues such as broken bones, ligament strain or operations. If you miss a class you may catch up by attending a different class. One session per six week block can be rolled over but no more than one. If for reasons beyond our control we cancel a class we will either add this class onto the end of the six week block, invite you to a different class time if suitable for you or refund. We will always try our best to avoid delays, cancelling or amending a trip, however, we reserve the right to change the itinerary advertised for any booking, at any time and for any reason, such as adverse weather conditions, forestry operations and other seasonal activities or, if the minimum number needed to operate a trip has not been met. In the latter case we will advise you no later than 20 days prior to departure. Please contact us before you book your travel to confirm that the trip has enough participants to run the trip. Where circumstances beyond our control force us to amend a trip no deposits or payments will be refunded (please refer to Section 12 / Force Majeure). We are not liable for any additional expenses you incur through cancellation, amendments or unforeseen delays including, but not limited to, visas, vaccinations, travel insurance excess, or non-refundable flights, train or bus tickets. In circumstances where cancellation is due to external events outside our reasonable control, refunds will be less any unrecoverable expenses and non-refundable deposit paid. It is a fundamental booking condition that you accept activities such as mountain biking can be hazardous and may involve elements of risk or discomfort, and that you take personal responsibility for your own actions. Helmets must be worn at all times when you are on the bike and we recommend gloves as well. Many of the services which make up your holiday are provided by independent suppliers. Those suppliers provide these services in accordance with their own terms and conditions which will form part of your contract with us. Some of these terms and conditions may limit or exclude the supplier’s liability to you, usually in accordance with applicable International Conventions. We arrange accommodation and provide information to clients on accommodation available in various parts of the UK and Spain. Information provided to clients is for guidance only and if in any doubt, it is the client’s responsibility to assure themselves that the accommodation meets their particular requirements. Upon request, we are happy to provide information to clients about a range of services and activities e.g. bike hire or various outdoor activities. Where a client takes up the services of a third party, the terms and conditions of that company apply. Please note that we do not provide bikes or other cycling equipment directly as part of the trip, however, we do offer the option to hire bikes and other cycling equipment for the duration of the trip from third party companies. Please note that such hire does not form part of your arrangements with us and your contract for the hire is at all times with the third party hire company. In all circumstances, it is your responsibility to ensure you bring a suitable bike with you for participation in the tour, whether this is your own bike or one you have hired from a third party company. You accept that you are responsible for the condition and maintenance of the bike and any other such equipment you use on the tour. Please note that whilst all reasonable efforts will be made by us to ensure the safekeeping of your bike, we cannot be held responsible for any loss or damage to your bike as a result of your participation in the trip or otherwise. We’ve teamed up with award-winning cycle insurers Bikmo to give you a 5% discount on their cycle insurance. Designed and run by bike geeks, they’ve been awarded Feefo’s Gold Service Status for their exceptional customer service, check for yourself here. To receive your 5% discount click here. To make a booking you must be 18 years or over. Those under 18 years of age are not permitted to travel on their own, but may travel with a pre-booked parent or elected guardian. The conduct and behaviour of any client under the age of 18 is the responsibility of accompanying adults. We have no upper age limit though we remind you that our trips can be physically demanding and a doctor’s declaration may be sought in some instances. We will do our utmost to cater for any special requirements you may have. If you or any member of your party has any medical condition or disability which may affect your participation in the arrangements, please provide us with full details before we confirm your booking so that we can try to advise you as to the suitability of your chosen arrangements. In certain circumstances, we may require you to produce a doctor’s certificate certifying that you are fit to participate in the tour. Acting reasonably, if we are unable to properly accommodate the needs of the person(s) concerned, we will not confirm your booking or if you did not give us full details at the time of booking, we will cancel it and impose applicable cancellation charges when we become aware of these details. You must be adequately fit to cover the distances and undertake the program set out in your itinerary. If it is felt that any client is not sufficiently fit, healthy, properly equipped or able to complete the trip without affecting its safety, comfort or happy progress, the tour leader at any stage has the right to remove you from the tour. Clients are required to take out adequate insurance to cover themselves and their luggage for travel, and for all sports and activities they intend to take part in as well as for extra costs and charges incurred from delays, cancellations, rescheduling, repatriation or any other factors outside our control. DogTag offer policies specially designed for adventurous tours like ours. We always recommend guest bikes are fully insured – we have negotiated a 5% saving on bike insurance with Bikmo, click here to receive your discount. All luggage should be clearly labelled with the owner’s name and contact details. Any special requests must be advised to us at the time of booking. You should then confirm your requests in writing/email. Whilst every effort will be made by us to try and arrange your reasonable special requests, we cannot guarantee that they will be fulfilled. The fact that a special request has been noted on your confirmation invoice or any other documentation or that it has been passed on to the supplier is not confirmation that the request will be met. Failure to meet any special request will not be a breach of contract on our part unless the request has been specifically confirmed. We do not accept bookings that are conditional upon any special request being met. You appreciate and acknowledge that the nature of this type of trip requires considerable flexibility and you should allow for alternatives. The itinerary provided for each trip is representative of the types of trips we run but is subject to change due to weather, events or the general ability of the group (if taking part in group activity). After departure: We reserve the right to change an itinerary after departure as a result of weather, local circumstances or events outside of our control. In such emergency circumstances the additional cost of any necessary itinerary alterations will be covered by you. In this case, we are not responsible for any incidental expenses that may be incurred as a result of the change of itinerary. Our group trips, unless stated as being run by a partner company, are run by a Beyond the Mud guide or coach. The decision of the guide or coach is final on all matters likely to affect the safety or well-being of any person participating in the trip. If you fail to comply with a decision made by a guide or coach, or interfere with the well-being of the group, the guide or coach may order you to leave the trip immediately, with no right of refund. In such a circumstance, where a traveller is removed from the trip, we accept no responsibility for their transfer back to the trip end point or any costs incurred therein. Any transport arranged for the traveller in question will be at our discretion. We may also elect not to carry you on any future trips booked. You must at all times comply with the laws, customs, and local regulations. We will accept liability for our negligence causing direct physical injury to passengers only to the extent that it is obliged under British law. Where damage relates to damage caused by the provision of road, rail, river, air or sea transport, or hotel accommodation, any compensation payable will be limited by the Athens Convention 1974 (sea), the Berne Convention 1961 (rail), Montreal Convention 1999 (MC99) (air) and the Paris Convention 1962 (hotel accommodation). Beyond the Mud, its owners, employees, affiliated entities, agents, representatives, officers, directors, associates, volunteers, successors and assigns (collectively, “the company”), which acts only as an intermediary for its suppliers, assumes no responsibility for and cannot be held liable for any negligent or wilful act or omission of any supplier, or of any other person or entity. I have voluntarily applied to participate in the trip or coaching on which I am booked. I am voluntarily participating in this trip or coaching with the knowledge of the numerous risks and dangers involved, or any other actions, omissions, or conditions outside the control of the company. As lawful consideration of, and as part of the payment for, the right to participate in the trip or coaching, and as part of the payment for the services arranged for me by the company I agree to be responsible for my own welfare and assume all of the above risks, including those known and unknown to me. As lawful consideration of, and as part of the payment for, the right to participate in the tour, and as part of the payment for the services arranged for me by the company, I expressly release, discharge and hold harmless forever Beyond the Mud, their owners, employees, affiliated entities, employees, agents, representatives, officers, associates, volunteers, successors and assigns from and against any liability, actions, causes of actions, debts, suits, claims and demands of any and every kind and nature whatsoever which I now have or which may hereafter arise out of or in connection with my tour or participation in the activities arranged for me by the company. I acknowledge that by accepting these terms and conditions (i.e. by completing a booking), this constitutes my acceptance of this agreement. Any dispute between our company and a client or third party that is not resolved by an agreement acceptable to both parties shall be referred to an intermediary. If this is not successful then the matter shall be dealt with through the English court system. All information, including contact details, supplied to us by the client during the booking process will remain confidential and will not be shared with any companies or organisations. The only exception to this will be in cases where we arrange third party services e.g. a vehicle(s) from third party transport companies or hotels to assist in the delivery of booked services. Photographs and videos: any likeness or image of you secured or taken on any of our trips or courses may be used by the company without charge in all media (whether now existing or in the future) for bona fide promotional materials of any kind, such as brochures, videos and the internet.